Codeword will be renamed WE Codeword. NEW YORK: WE Communications has acquired content marketing agency Codeword. 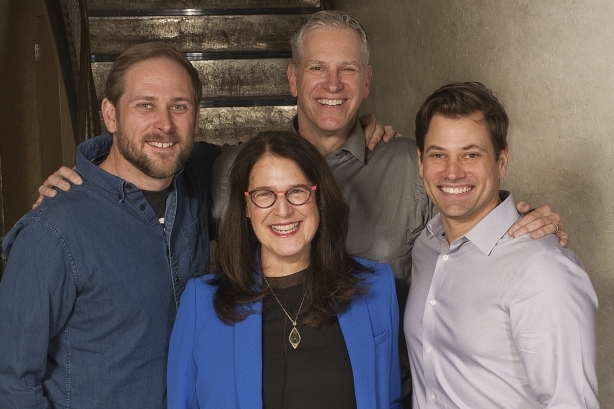 Codeword founding partners Mike Barash and Kyle Monson, and partners Jeff Lind and Michael McKloskey will remain in place and govern the business on a joint board led by WE North America president Kass Sells. Monson said the deal will not lead to office or staffing changes. WE CEO Melissa Waggener Zorkin said the two firms began discussing a possible deal last spring, with talks continuing over the summer. The deal closed January 11. WE and Codeword have worked together in the past. Waggener Zorkin said three things attracted her to the firm. "First, the leadership of the team," she said. "They have a great culture and that matters a ton in terms of maintaining business success. Second is the work. They are great at moving people’s actions with a story. And then there’s the fact that they are fiercely independent and so are we." Waggener Zorkin declined to discuss the financials behind the acquisition. Founded in 2010, Codeword is a content shop that focuses on reaching influencers, as well as specialty and niche communities via content and earned media. The 75-person company has offices in New York, Salt Lake City, and San Francisco, and has worked for companies like Netflix, Google, GitHub, and Recode, among others, according to Codeword’s website. "When you get to 75 people it’s time to make some decisions," Monson said explaining why Codeword agreed to the deal. "Are we going to build the systems to scale larger? Stay where we’re at? Or go into a partnership with someone who has the systems in place that will help us take it to a next level?" According to the PRWeek Agency Business Report 2018, WE Communications’ revenue was $110.4 million in 2017, an 8% increase compared to the prior year’s revenue of $101.8 million. WE works with brands including Microsoft, Honeywell, McDonalds, iRobot, and Volvo in more than 100 international markets. The firm has 18 offices, globally, and more than 800 staffers, according to a release.